The Autism Group » Yo! Ho ! No!! Take a look at tips to help make the festive season fun for everyone with a few well planned action points to support your family member on the autism spectrum. 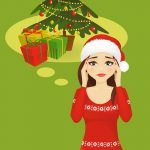 The Festive season can be a fun packed frenzied time, but can also be a confusing sensory assault that leaves those on the spectrum overwhelmed and distressed. Planning, preparation and some simple adjustments can help to achieve the goodwill we all hope for over the holiday period. We aim to make our homes a safe sanctuary where we can let go of the stresses and strains of the day. So, if someone on the spectrum comes home to find a tree in the front room, and flashing lights at the windows you may well have to prepare for fireworks as well. We know that someone with autism typically thrives on routine and finds change difficult, but it’s difficult to avoid the carnival that is Christmas, whether it’s at school, work, the shopping centre or the arrival of a car load of relatives at your front door. We need a survival plan – so where to start? · Mark the key dates and events, such as family visiting, on a calendar or visual timetable and start a countdown. Advent calendars are also useful for those who can resist tearing open every window on day one! (still working on that one). · Share books and pictures about Christmas and talk about the activities, the food, the decorations, songs. Or make your own book together, taking care to consider any upset that might be caused to literal thinkers when your own Christmas table does not exactly match the cut and paste spectacle you created! · Talk to your key contacts at school about timetable changes, the options for taking part or being excused lengthy productions, assemblies and concerts. Ask about creating a role, such as handing out programmes, if squeezing your sensory sensitive child into a nativity costume is going to result in ‘exit stage left’ by an angry and upset shepherd. · Involve your young person in any plans you have for decorating the house. Let them help, choose or create some of their own – who says you can’t have Pokemon themed paper chains? · Think about adding the decorations bit by bit to avoid a sudden and overwhelming change . · Try and create a ‘Christmas free’ zone if the person feels stressed by all the visual clutter. Perhaps siblings who enjoy the glitz and sparkle could have the flashing lights in their bedroom rather than rooms you hope to share with the whole family. · Many people on the spectrum do not like surprises and well -meaning attempts to bring delight can backfire causing upset and disappointment all round. Consider making a list and allow your young person to choose their gifts and either leave them unwrapped or let them help wrap them up. · Brief family members too – and manage everyone’s expectations of the likely response to their gift giving. · Fussy eaters who are rigid about their food choices are unlikely to enjoy being faced with a plate of festive foods they neither chose or enjoy. You may wish to offer small amounts of ‘new’ foods, but be prepared to also serve something you know they will eat. · Big family mealtimes can be difficult for someone on the spectrum. Whilst we all want to share with the whole family, it may prove overwhelming for your young person. Make allowances for the amount of time they might spend at the table with everyone else, use ear defenders or allow the use of headphones to help them manage noise levels – and allow them solitary time to recharge social batteries at various points in a busy family day. You might also want to explain these strategies ahead of the big day to family and friends who will be joining you – it’s Christmas day – not judgement day. With warmest wishes from everyone here at The Autism Group. search Aspie world # Christmas videos.